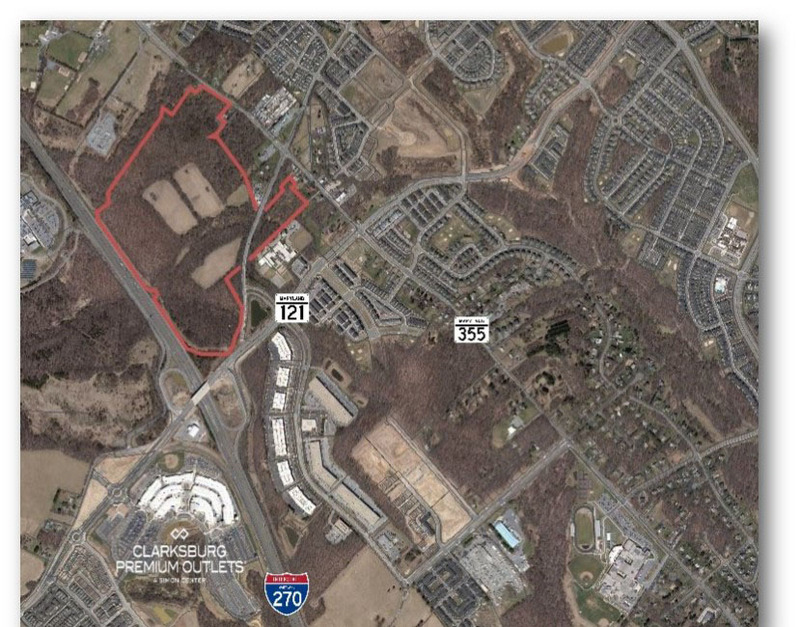 Rare opportunity to purchase 97.12 acres of zoned land located in the northeast quadrant of I-270 and Clarksburg Road, conveniently located just 30 miles north of Washington, D.C.
Last remaining development parcels at the Brandywine Crossing Shopping Center behind Costco, Target, and Safeway. I-1 (light industrial) zoning allows for self storage, medical office, hotel, industrial, or residential (apartments, townhomes, senior, etc). Existing 47,000 square foot office building with existing tenants available for sale.